This is my entry into the Indie Game Making Contest 2018. 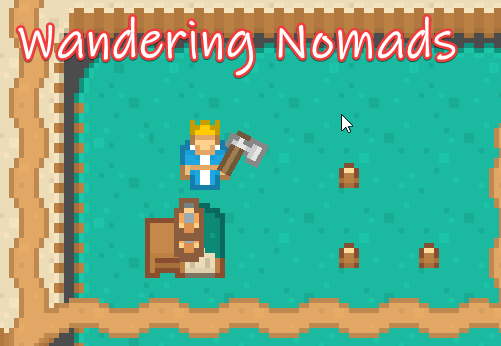 This is going to be a Survival/Rogue-lite Colony Manager game where you play a nomad whom has been exiled by their city because you wanted to more than just sell chickens! You must now survive the vast wilderness and make your own tribe/village/town/city! Venture off on your own and explore or help build up your settlement; the choice is yours! Early game will be mostly survival where you must use the elements to survive and thrive. Then you will begin to make a nomadic tribe that will have the ability to travel from place to place. Eventually your tribe should grow to be too large to be nomadic and you must find a place to call home. Eventually you will be large enough to overthrow (or befriend) the city that exiled you!